IntyMike | Welcome to the Intellivision Revolution! 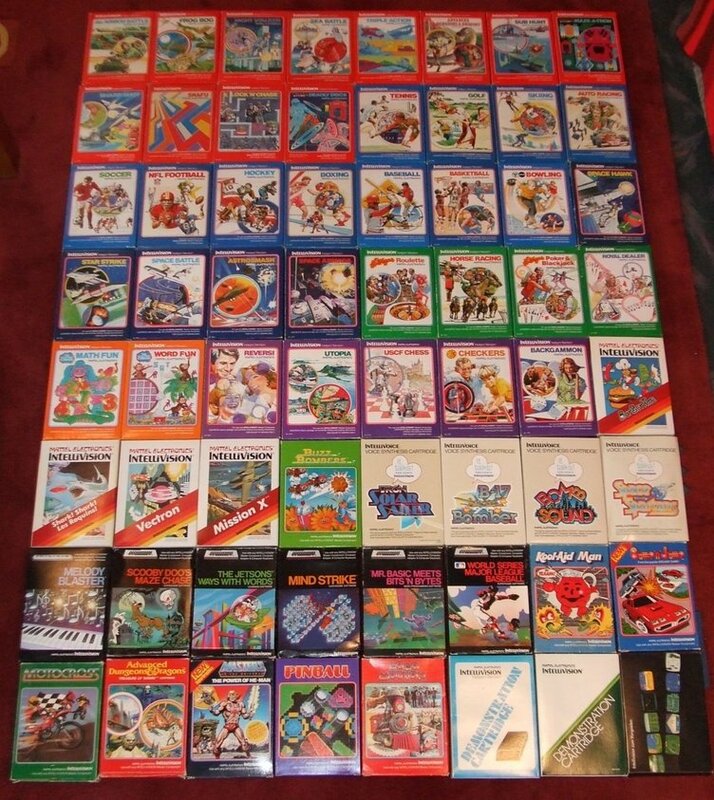 Intymike is from Germany and has a very nice Intellivision collection with many one-of-a-kind paper goods. A very healthy collection of variations. Some rare german paper items. 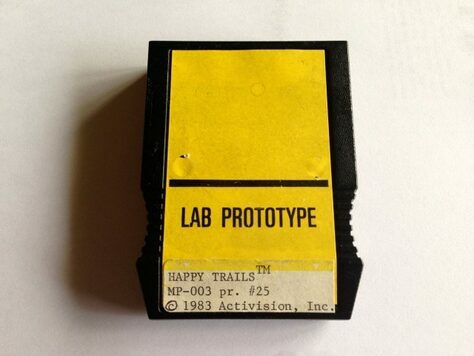 Also alot of Intellivision homebrews and also International and Demos carts. Another great addition to The 125 Club! 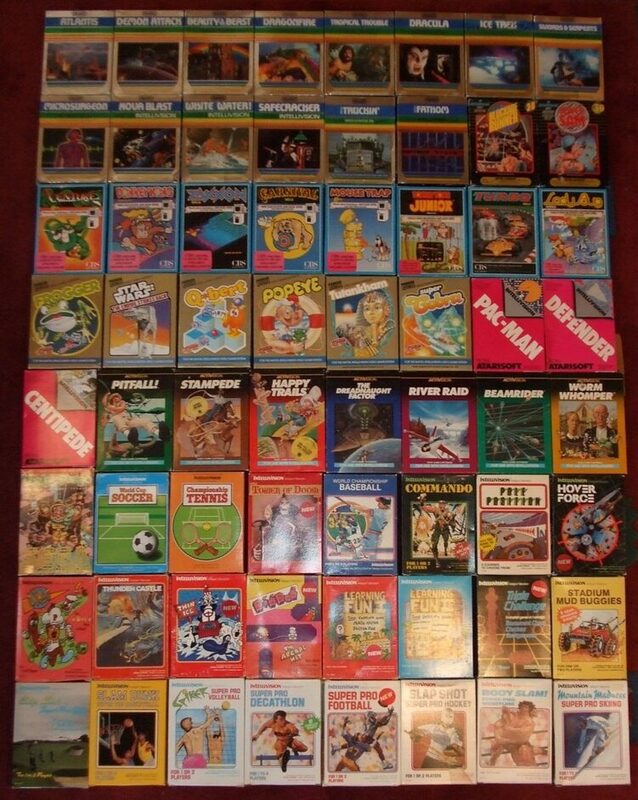 All released Intellivision games by Mattel + 3 demonstration carts. All released 3rd party and INTV games. And my collection of homebrew games. Inside the Test Cart box is a MTE 201 cart. On the bottom the fantastic Cuttlecart 3 and Intellicart. From shrinkwrapped to nearly destroyed. 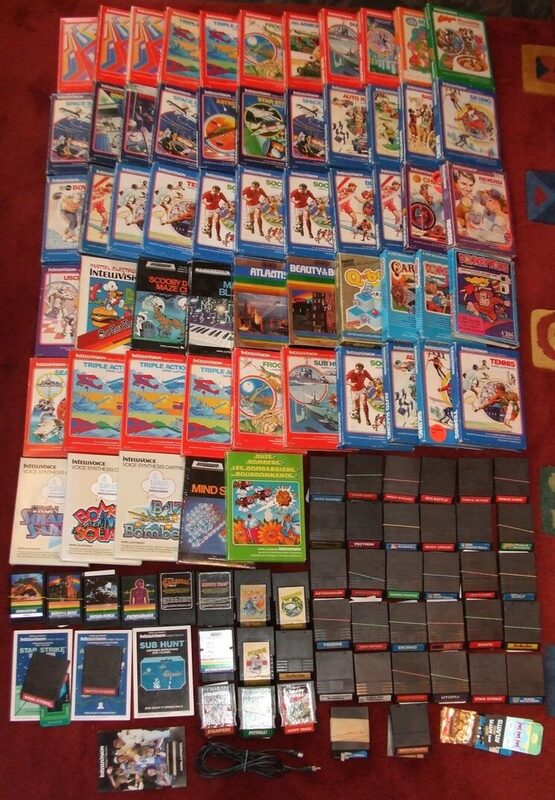 This is my collection of Intellivision hardware. 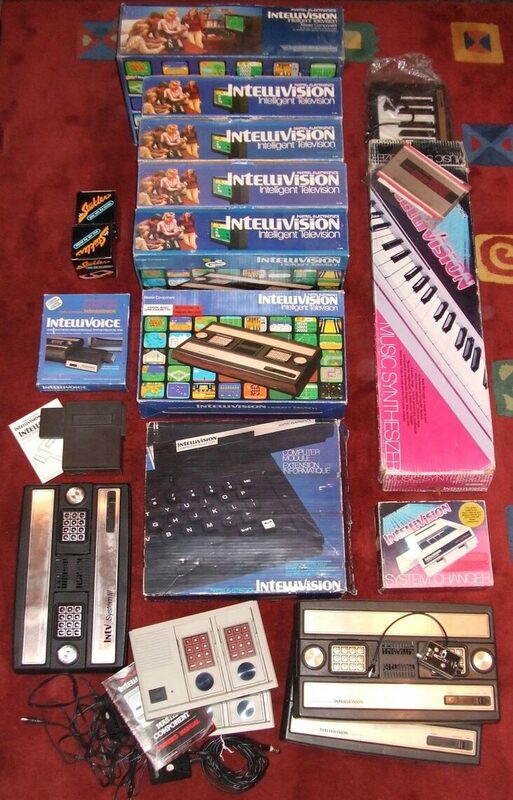 It includes a boxed UK Intellivision (but with continental power cord and german instructions). 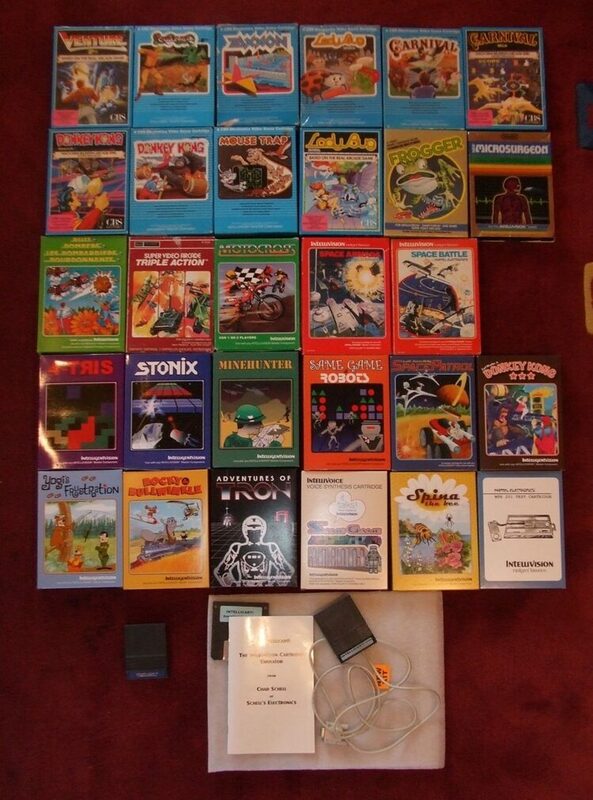 4 boxed german Intellivision´s. A boxed french Peritel Intellivision. 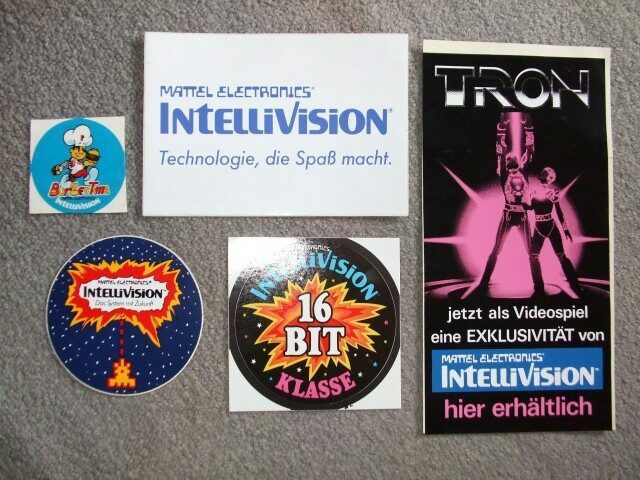 2 loose german Intelli´s and 2 loose Intellivision II. A loose INTV Sytem III. A canadian boxed IntelliVoice and a loose IntelliVoice. A german boxed ECS (Computer Module) and a international boxed Music Synthesizer. At last a boxed System Changer and 2 pairs of sticklers. 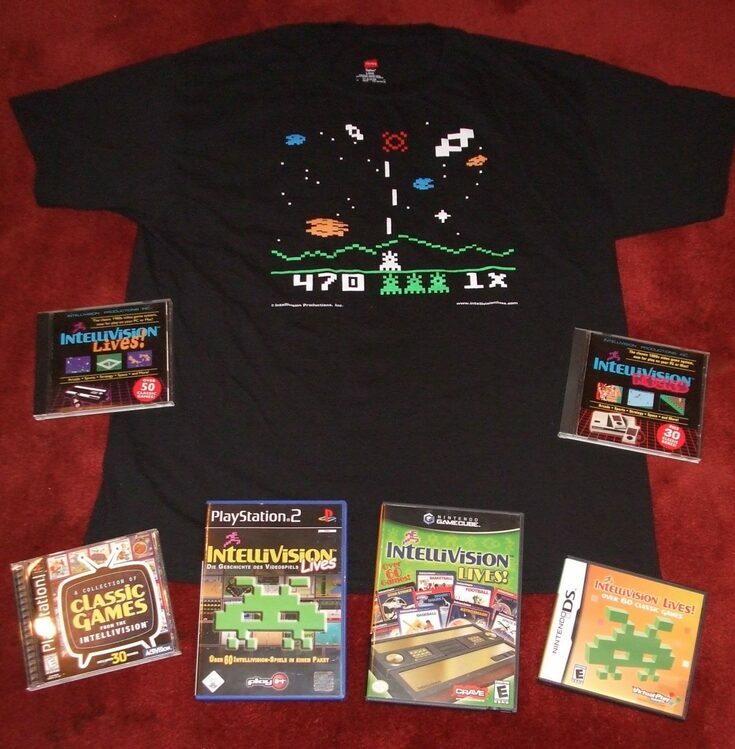 Intellivision lives and rocks for PC/Mac. And Intellivision lives for PSX, PS2, Gamecube and Nintendo DS. 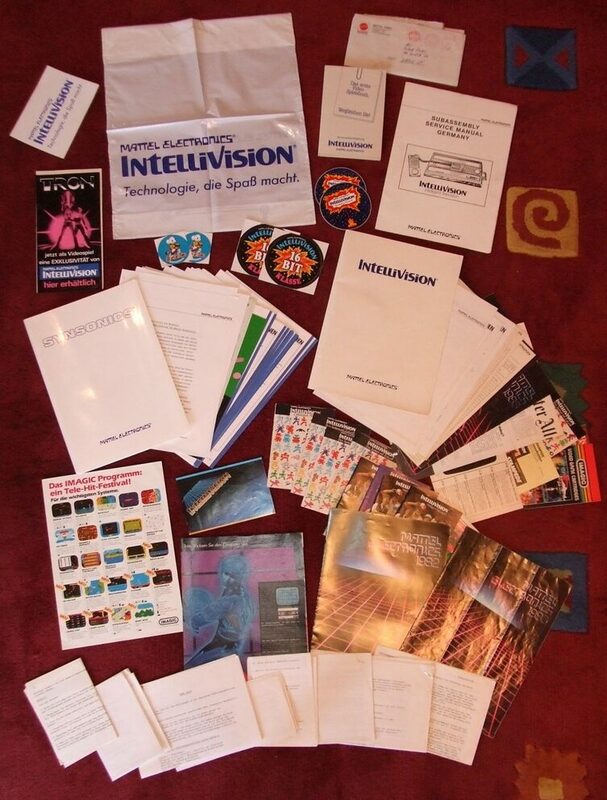 Several stickers, a plastic bag, the Intellivision pocket book, german service manual. Two folders with press kits (1982 and 1983). And on the bottom german instructions for the last games that were released at the end of 1983 (the ECS and IntelliVoice games and a few more). My collection of Mattel Electronics stuff that is not directly related to the Intellivision. Two Synsonics Drums (one in box, one loose). A book with drum pattern for the synsonics drums. International versions of Brain Baffler and Auto Race (multilingual boxes and instructions). The U.S. version of Soccer. And a loose Hockey with german instructions on the back.